An “FFL” is a Federal Firearm License. There are currently over 58,000 FFL holders nationwide. FFL holders are commonly gun stores, pawn shops, and retail sporting goods stores. However, there are also many individuals that hold a FFL. 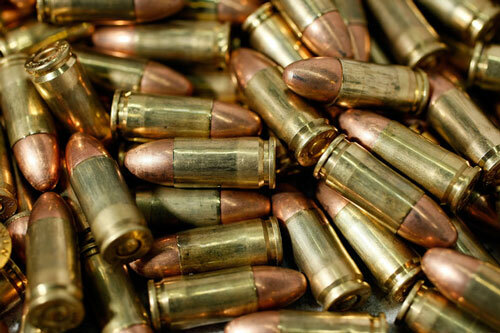 All firearms sold to individuals online must be shipped to a local FFL holder who will then transfer the firearm (via ATF form 4473 and associated background check) to the individual. WHAT ARE THE FEDERAL FORM 4473 REQUIREMENTS? The address on the 4473 must be where you reside and it must match the picture ID address and cannot be a Post Office Box. If the address doesn’t match or you have a PO Box on your ID then you must obtain another valid, government-issued document showing the transferee’s residence address that is listed on the 4473. This information is recorded in question 20.b. with issuing authority and type of identification presented. Bring a copy of this document with you. This is required for any firearm transaction handgun, long gun or receiver/frame. 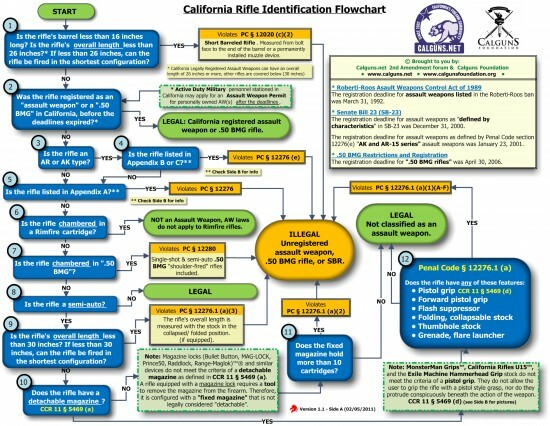 Acceptable documents to prove where you reside are CA vehicle registration, CA DMV printout, CCW, government issued W-2s, government utilities, big game tags issued by the drawing, County Taxes, land lifetime hunting licenses printed by the state, documents from the VA, government pay documents, etc. Nonimmigrant Aliens must also provide a current hunting license or permit. This information is recorded in block 20c on the 4473. WHAT ARE THE CA DROS (DEALERS RECORD OF SALE) REQUIREMENTS? Proof of Identification: California Drivers License or California ID Card or Military ID with orders to a duty station in California along with valid State Drivers License/ID. Utility bill (Within the last past three months) reflecting services to a fixed place of residence. The utility bill must bear on its face both of the following: name of the transferee, either the residential address declared on the DROS form or the address as it appears on the transferee’s identification. 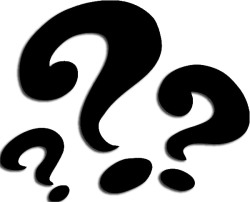 Residential lease that bears both of the following: name of the transferee, either the residential address declared by the transferee on the DROS form, or the address as it appears on the transferee’s CDL or CID. Property deeds the bears both of the following: name of the transferee, either the residential address declared by the transferee on the DROS form, or the address as it appears on the transferee’s CDL or CID. DMV registrations are NOW acceptable. Electricity, gas, cable bill from within the last 3 months. We must retain a copy of this document. It must be valid and have an expiration date. DOUBLE CHECK THE DATES. No “Over Due Notice” warnings. Make sure you can see the address for the utility provided on the bill. If it is a government issued document, it can apply for both Federal 4473 and CA DROS requirements. Some examples include CCW, or CA Vehicle Registration. If not, then you might need to satisfy both. WHAT ARE CALIFORNIA LEGAL FIREARMS? All pistols/revolvers transferred in must be on the Roster of Handguns Certified for Sale or meet an exemption. Roster of Handguns Certified for Sale (http://certguns.doj.ca.gov/). It must match the exact model, caliber and barrel lengths. Curio & Relics: 50 years old or specifically listed in the ATF Curio & Relics handbook or over 50 years old. Single Shot Pistol: barrel length of not less than six inches and overall length of at least 10 1/2 inches when the handle, frame or receiver, and barrel are assembled. You will be responsible for return fees associated with non-approved pistols or non-exempt pistols. It will not be released to buyer, as it cannot be DROS’d. All long guns must be authorized for sale in California and cannot be Assault Weapons as defined in California PC codes. HOW DO I KNOW IF IS OR ISN’T AN ASSAULT WEAPON? IS CALIFORNIA SALES TAX COLLECTED? Please note that sales tax will be charged for firearms send from a non-private party. This decision is not ours. The BOE of CA has decided that we are the retailer if we conduct the transfer as required by law. For non-private parties, documents identifying it as a private party transaction must accompany the firearms when shipped in. See CA Sales Tax Firearms Information 495.0843 & 495.0848. WHAT ARE THE SAFE STORAGE REQUIREMENTS? Hand Guns: Federal Law requires that a locking device be provided with the hand gun at time of transfer, California Law requires that the locking device be California approved. If the firearm does not come with a approved locking device then you must purchase one. Approved locks can be purchased from Gussler’s or many other places however you must bring in the lock and a receipt for the approved lock dated within 30 days of the DROS date. Bringing locks from home does not satisfy this requirement as you don’t have a current receipt and leaves the other firearm at home not secured. 10 days, calculated as ten, consecutive, 24-hour periods commencing with the initiation of the DROS process. DROS stands for Dealer Record of Sale. It is the system used by the California Dept. of Justice where in background checks are conducted for purchasers of firearms. It is also the method in which handgun sales registration information is obtained. WHO IS PROHIBITED FROM PURCHASING OR POSSESSING FIREARMS IN CALIFORNIA? Persons convicted of felonies or certain misdemeanors, persons addicted to narcotics, persons adjudicated to be mentally defective, persons who are under the restrictions of a temporary restraining order (domestic violence) are amongst the persons who may not purchase or possess firearms. A very specific list of felony and misdemeanor offenses that prohibit firearms ownership is available for review at any licensed dealer. WHAT ARE THE ADDITIONAL REQUIREMENTS NECESSARY FOR PURCHASING A HANDGUN? Handgun purchasers must possess a Handgun Safety Certificate (or qualifying exemption), provide evidence of residency and perform a Safe Handling Demonstration. HOW DOES ONE OBTAIN A HANDGUN SAFETY CERTIFICATE? By successfully passing the written HSC test. The test consists of 30 questions; passing scores are 23 answers correct or more. The cost of the taking test and receiving the card is $25. Study booklets are available for .50. The test may be taken during normal hours. The HSC is valid for 5 years from date of issuance. WHAT DOCUMENTS ARE NECESSARY TO SHOW EVIDENCE OF RESIDENCY? Utility bills from within the last 90 days, property deeds, permanent military station orders, lease or rental agreements or government issued permits, licenses or registrations are acceptable proofs of residency that meet the CA DOJ requirements. (NOTE- alien residents, immigrant aliens and non-immigrant aliens must provide residency that also meets Federal guidelines. WHAT IS THE SAFE HANDLING DEMONSTRATION? The Safe Handling Demonstration is a set of firearm handling skills that must be performed by the purchaser with the gun they are purchasing or with a gun of the same model as the one that is being purchased. The skills include checking that the handgun is empty, unlocking it, loading it with a dummy round, unloading it and relocking it. This demonstration is performed at the time of DROS. WHY DO I HAVE TO BUY A GUNLOCK OR TRIGGER LOCK WITH THE PURCHASE OF MY GUN? California law requires that all firearms sold, be transferred with a trigger lock, cable lock, qualifying gun cabinet or lock box, or gun safe. These devices may include those approved trigger locks that come with the majority of new firearms or one that was purchased within the last 30 days, provided that it is accompanied by a receipt. State law dictates that persons who already own a safe or lock box can sign an affidavit attesting to ownership of those devices. However Federal law now requires that a trigger lock accompany any handgun transfer without consideration of CA law. Effectively this means that safe affidavits are no longer acceptable since the Federal law went into effect. WHAT IF THE GUN I AM PURCHASING COMES WITH A GUNLOCK, TRIGGER LOCK OR OTHER SAFETY DEVICE? If the device that comes with your gun is on the “approved” list than you will not need to purchase another gunlock or cable. IS THERE A LIMIT TO THE NUMBER OF FIREARMS THAT A PERSON CAN PURCHASE AT ONE TIME? California law limits the purchase of handguns to no more than one handgun transferred from a dealer to an individual within any 30-day period. Note- Firearms transferred between individuals that are transacted through dealers, (known as Private Party Transfers), are exempt from the one-handgun-a-month restriction. California law does not limit the number of long guns (rifles or shotguns) purchased by one person or within any specific time period. WHAT DOES THE EXPIRATION OF THE FEDERAL ASSAULT WEAPONS BAN MEAN FOR CALIFORNIA DEALERS OR GUN OWNERS? For the most part, the expiration of the Federal Assault Weapons Ban does nothing to change California’s restrictions on the sale or possession of California designated “assault weapons” or high capacity magazines. As in other areas of firearms law, CA law supersedes Federal law. Sales conducted between unlicensed individuals are called Private Party Transfers. PPT’s must be brokered through licensed dealers. Both parties must be present at the time of the sale. The purchaser bears the cost of the transaction ($35) and must meet all of the qualifications as outlined above. The firearms will remain at dealership during the 10-day waiting period. WHY ARE SOME MODELS OF HANDGUNS NOT LEGAL FOR SALE IN CALIFORNIA? CA law dictates that only those guns deemed “not unsafe” may be sold. In order to be listed, handguns must be submitted to the state for testing. Not all manufacturers have submitted each of their models for testing by the state.